It was in 1989 that FHA-insured reverse mortgage was introduced. Also known as HECM or Home equity conversion mortgage, this type of loan was available only to home owners who were above 62 years of age. With such a loan you can access and enjoy a portion of your home equity while living in your home. Your house will be very much in your name as long as you stay in it. No one can ask you to move out of your house unless you yourself make such a decision. And when you do decide to move out, you will have to pay back the loan amount from the proceeds of your home. By taking out a reverse mortgage, you can get money in regular chunks, throughout your life, depending upon the kind of equity you have accumulated on your home. The loan doesn’t come up for repayment unless the borrower dies, moves out or sells the home. How can you use the money that you get through a reverse mortgage? What is the maximum amount you can get by taking out a reverse mortgage? Age: Generally the age of the youngest spouse is considered in case of couples who want to take out reverse mortgages. The older the age, the higher the amount you can receive. Value of home: Normally a percentage of the total equity of your home will be given to you as reverse mortgage. This amount is usually less than the appraised value of your home. In any case it cannot exceed $625,500, which is the mortgage limit that has been set by HECM FHA. Interest rate: The interest rate that you can get depends upon the lender, the value of your home, your age and your ability to pay up the costs that are associated with the maintenance of your home. The interest rate in this case is generally much higher when compared to a traditional mortgage. How to collect your payment? Regardless of how much amount you borrow, it is only the value of your home that you will have to pay back. If the loan amount exceeds the value of your home, you won’t be asked to pay the excess amount. At the same time if the loan amount is less than the value of your home at the time when you sell it, you or your heirs can keep the difference. Your heirs can also decide to keep the house if they can pay back the loan amount that has been borrowed. Who may not benefit from a reverse mortgage? You are not in a position to pay up the costs that are associated with the maintenance of your home such as house tax, insurance premiums, utility bills and maintenance expenses. The closing costs that are associated with reverse mortgages are much higher when compared to traditional mortgages. This holds good for origination fees, appraisal fees and upfront mortgage insurance too. However, if the value of your home is very high, these costs may reduce considerably. At any point of time if you fail to pay your property taxes, home insurance premiums or charges with regard to home repairs, you may be asked to repay your Home equity conversion mortgage much earlier than the stipulated time. You will have to compulsorily receive free counselling by an independent third party that may include a national counselling agency like AARP or an agency that the Department of Housing and Urban Development has approved. Such counselling can help you consider alternative options. It is better not to spend the equity in your home if you are taking out a reverse mortgage. This will decrease the value of your property, leaving nothing in the hands of your heirs. 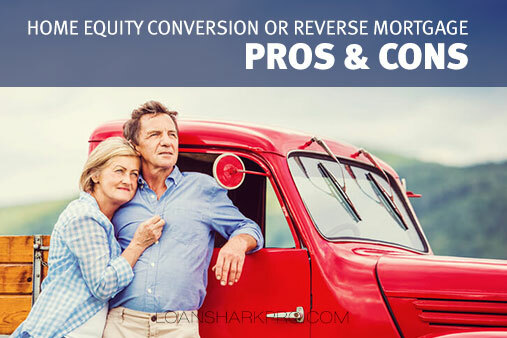 Home equity conversion mortgage lenders are always on the lookout for senior homeowners who can benefit by taking out reverse mortgage loans. This is why they buy exclusive HECM leads and reverse mortgage live transfer leads that will give them complete details about such homeowners. You don’t have to be surprised if you happen to get a call from one or two such lenders, while you are still in the phase of deciding whether or not to take out a reverse mortgage.